Are you planning a move and your family includes pets? Our pets add joy and companionship for us and ask for very little from us in return. 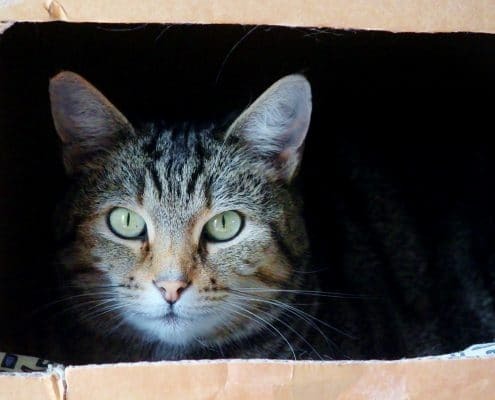 Moving into a new house presents unique challenges for your animal friends, and you can pay them back for their unwavering love by making your move as stress-free as possible for them. Happily, online resources, like Petfinder, include lots of advice on successfully moving with your pet. Read on for some helpful suggestions. Does your pet have special housing requirements? A hamster can adjust quite quickly to any living situation. However, a feisty 100-pound labrador retriever might prefer a fenced backyard. Considering your pets when you buy your new home eases their transition into their new environment. Hire a real estate agent who welcomes the opportunity, and understands the issues, of finding a home that meets the needs of everyone in the family. Homes for Heroes affiliate real estate agents are experts in locating compatible pet housing. SIGN UP and we will connect you to a real estate specialist in your community experienced in working with families that include pets. Homeowners Association: If you buy a home in a development that includes a Homeowners Association (HOA) be sure that you understand their rules regarding pets. There are often rules that limit the number, size, and kind of pets allowed. Local Ordinances: Does your new neighborhood allow the chicken coop that you’ve been longing to set up in your backyard? Local ordinances can restrict the number and type of animals that share your space. Make sure that you understand the rules before you buy in an area. 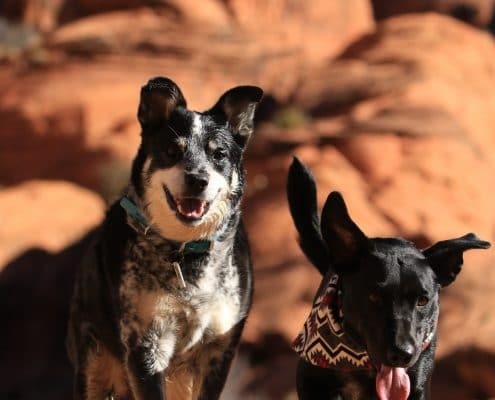 Pet-Friendly: Is there a delightful dog park in a neighborhood that you can’t wait to visit with your favorite canine? Do local shops set out a bowl of water for their dog patrons? If possible, visit an area that you’re thinking about living in and think about it from the perspective of your pet. Will your pet feel welcome? Pre-Move: There are plenty of things that you can do before the move to reduce the stress of transporting your pet to a new location. The following tasks get you started. Veterinary Health Certificate: An often overlooked part of traveling with pets is the veterinary health certificate. This certificate is required to fly and is useful for any interstate travel. Vet Records: While you’re visiting the vet to get a health certificate, it’s a fantastic idea to request a copy of your pets health records. The veterinarian in your new area will appreciate the health background information on their new patient. Carrier: Cats and small animals travel most safely in a hard sided carrier. If your little friend tends to avoid the pet taxi at all costs, it’s helpful to place an open one out in a room several weeks before your move. Curiosity will work its magic, and before long, the carrier will be a second home to your furry friend. ID Tags and Microchips: What will you do if Fifi escapes from her carrier and you can’t find her? Minimize the danger by purchasing an updated identification tag that includes your cell phone number and relevant updated contact information. Remember to give your new contact information to the appropriate pet microchip service. Day Trips: Does your quiet kitty let out an unearthly yowl whenever they ride in a car? Unless you relish the chance to hear the plaintive wailings of an unhappy feline for the length of your trip, a few short trips in the car before moving day is in order. Start with a quick trip around the block and gradually increase the mileage. Moving day is terrifying to your four-footed family members. During the inevitable chaos that comes with carrying multiple boxes, furniture, and oversized items out the front door of your old house, it is easy to overlook their anxiety and confusion. You can significantly reduce their stress level by providing a calm environment removed, as much as possible, from the moving process. Contain small animals, with some food and water, in a relatively quiet room. Bathrooms and laundry rooms are good choices as activity free zones. A small dog may appreciate staying in a quiet room during the move. A secure backyard is also a good choice if your dog regularly hangs out there. Some owners decide to let their friendly pooch enjoy a playdate at another house. Give your pet a favorite blanket and a toy for a comforting snuggle. Don’t worry, animals are adaptable and will easily transition into a new house. Experts recommend that you confine your pet to a safe room until all of your furniture and household goods arrive. 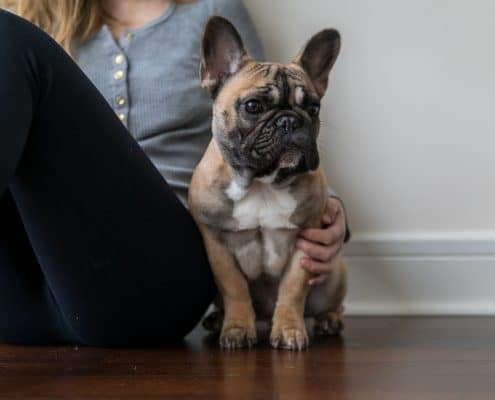 Even then, resist the urge to give your furry baby free reign of the house until you have time to go through each room to check for potential hazards. Providing a peaceful welcome home to your family pet pays off in a more comfortable and safer transition. Shortly after you finish unpacking, it’s time to figure out the pet life logistics in your neighborhood. Do you know where to buy Fido’s favorite dog chow? How about the directions to the fantastic dog park you noticed during your house hunting trip? Is there an avian veterinarian nearby? Don’t hesitate to ask your Homes for Heroes affiliated real estate specialist for help in settling your pet into the community. These real estate agents possess in-depth knowledge of their towns, and many of them are also pet owners. Lastly, moving with pets takes additional planning. Keep your faithful companions happy and healthy throughout the move by focusing on providing a calm and safe environment. Reward yourself by taking the time for cat cuddles and relaxing dog walks. 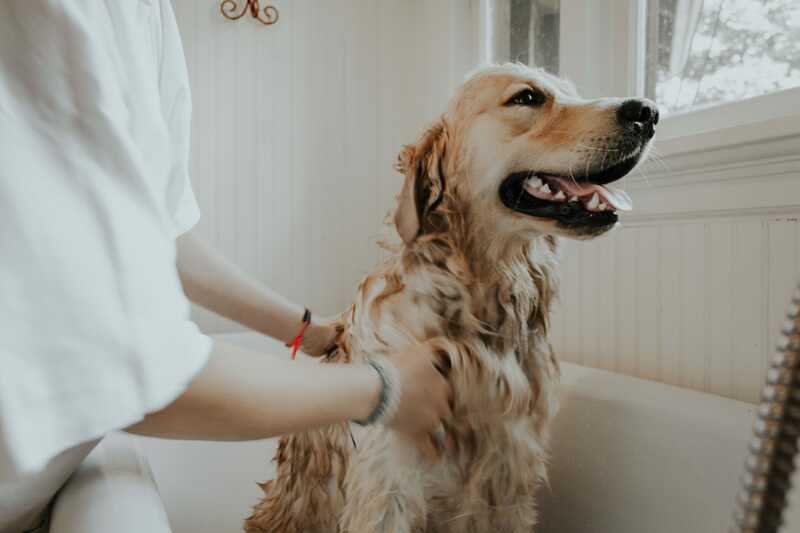 SIGN UP and we will connect you with a pet-friendly Homes for Heroes affiliate real estate agent in your area that will help you and your family find a new home and save money along the way.